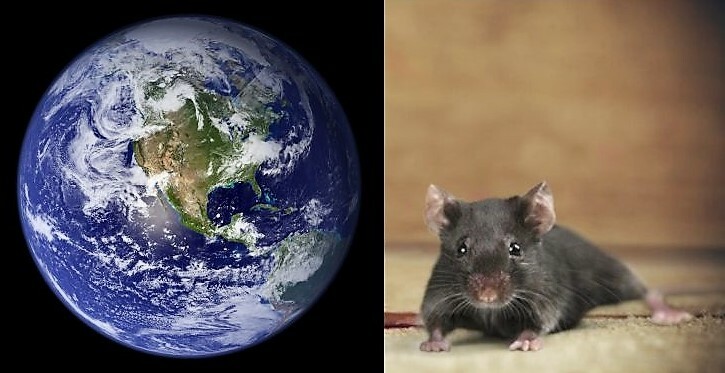 Many years ago, the earth and the mouse had an argument about who was the oldest between the two of them. The mouse said that when he was created, the whole earth was filled with water and that nothing else was in the world. According to the mouse, when his mother died, he could not find a place to bury her because there was no land in which to dig a grave as there was nothing else apart from water. The mouse argued that since he did not find a place to bury his mother, he decided to carry her on his head. He concluded that after a while, his mother’s decomposed body began to affect him negatively. This, according to him, is the reason why he is different from other rat species and smells terribly today. On its part, the earth told the mouse that he was the first to come to the world thereby making him the oldest creation. He insisted that before the creator created anything else, he first created the earth. He argued that all other things were only created after the earth had been created, thereby maintaining its seniority. In order to settle the argument between them, the mouse and the earth took the matter to Orunmila (the father of secrets). On getting to Orunmila, he told them that the earth is the oldest. He said that it was after the earth was created that every other thing began to come to be. He added that at the end of time, it is the land that will consume everything.